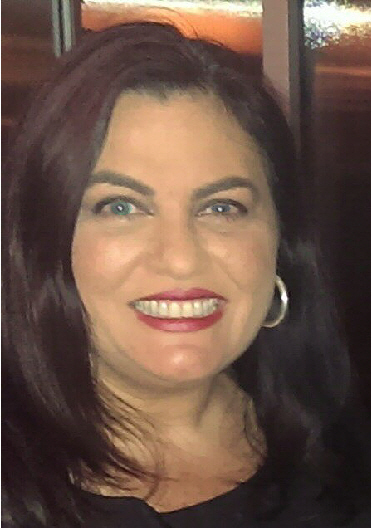 MATI President Christina Green is a candidate running for a position as ATA Director in the 2015 ATA election, to be held at ATA’s 56th Annual Conference in Miami, Florida November 4-7. We wish Christina the best of luck in the election and hope that MATI members will join us in supporting her! To vote in the ATA election, you must be a Voting Member of the ATA. If you are not attending the conference but are a Voting Member, you may vote via proxy. Becoming a Voting Member is a free, fully online process. Become an ATA Voting Member here. As stated in the first installment of our series focusing on the translator/agency relationship, translators’ main goal is to deliver high quality texts that are accurate, error free, and stylistically consistent. But if your Project Managers are not able to read the target language of your translation, how do they check your work for quality? Read on for some tips on features of language deliverables that agencies look to as indicators of the overall quality of a text. Focus on Packaging. If consumerism has taught us anything, it’s that packaging can be just as important as the product it contains. As freelancers, we must therefore be aware of the message we send through our product’s appearance. File names. As translation technology shifts toward more streamlined file passing, file names are often generated to tell technology what to do with that file. For this reason, make a habit of not changing file names. If you must alter file names, use a simple and consistent system. For example, you may simply add the ISO language code for your language to the end of the file name (e.g., “My File.doc” becomes “My File_ES.doc”). Stylistics. Any guidelines provided by the agency/client should be considered a set of instructions that must be followed for the project. When reviewing your deliverables, PMs and internal review teams will ask themselves questions like: Were instructions followed for the treatment of proper nouns? Were acronyms treated correctly in the target? Make sure the answer to those questions is YES! If you are not provided with any guidelines on stylistics with your project package, make a list of questions about how certain textual features should be treated in the target during your initial review of the file. You may be able to answer many of these questions yourself, thereby creating your own guidelines on style that you can follow consistently throughout the translation. For any questions that you cannot answer yourself, ask the PM early on in the project life cycle. Early is the operative word here; don’t wait until moments before a deadline to ask if all measurements should be converted, which will cause concern about your ability to deliver on time. For any questions the PM cannot answer, she will ask the client, ensuring said client gets exactly what they want in their product, which will likely equal more future work for everyone! Want to really wow the PM/agency? Be even more proactive, and develop your own checklist of textual features that you often need further instruction on for your translation projects, and for each new client, go through this checklist and provide them with a style guide. Glossaries. Even if PMs and in-house reviewers cannot read your target language, they have likely been trained to spot terminology inconsistencies within files. Do the section titles listed in the Table of Contents match the section titles used in the file? Is a particular tagline translated consistently throughout a translation? Using consistent language throughout a file demonstrates your attention to detail to an agency. If you are provided a client-approved glossary, follow the terminology within even if you think there’s a better translation. Client glossaries have likely gone through several stages of approvals to ensure that the terminology corresponds to their stylistic needs. However, if you strongly feel that the glossary contains an error, such as a typo, communicate this to your PM to improve the glossary moving forward. If you are not provided a glossary, take some time during your initial viewing of the file to jot down repetitious content from which to create your own glossary. Many CAT tools have easy-to-use glossary creation features. With memoQ and Wordfast, for example, you can import Excel glossaries. Even if you are not using a CAT tool, creating and following a glossary is still a good practice. And you can still manually check that glossary terms are followed in your final deliverable using the “Find” or “Find and Replace” features of Microsoft Office products such as Word. Quality Technology. Most CAT programs have built-in quality check tools, including spell check. These tools can be used to generate alerts about potential issues within a file, such as mismatched numbers between source and target, glossary terms not being followed, and even extra spaces within a segment. Use QA programs and tools to check your translation before delivery. Really impress your PM by delivering a “clean” quality report along with your deliverable. Run a spell check before delivery. When you’re in a hurry to meet that rush deadline, it may be tempting to forego this step to save yourself some time. But the extra five minutes is worth the extra assurance that there are no spelling errors in your final deliverables. Proofread your files for objective errors like incorrect numbers or the misspelling of company and product names. These are the areas of a foreign language document that your PMs and clients can check, so if they find errors here, they’ll wonder how many errors there are that they can’t see. Formatting. When translating in MS Word because you are working with a source PDF or because you don’t have CAT tools, basic formatting skills can go a long way toward demonstrating your commitment to the overall quality of a file. Beware of OCR! Do not OCR PDF files in lieu of manually creating the formatting structure. There are many programs out there to perform OCR (Optical Character Recognition) and recreate an MS Word copy of a file, a process by which text and formatting within a PDF file is made editable and then converted into MS Word format. While this may seem like a good solution for avoiding the time necessary to build the format structure of a file, translating in an OCRed file can cause problems with textual features like font types, kerning (the space between characters), incorrect character recognition, and line breaks that cannot be fixed/altered. OCR programs should ideally only be used to obtain estimates for word counts in PDF files. When recreating a file, use tables and other formatting features like adjustments to margins, rather than spaces and/or tabs/hard returns to replicate tables and textual flow. Using tabs and hard returns when replicating a table is problematic because if a PM or internal reviewer needs to change the font size of a document, for example, line breaks may shift, and she will need to manually adjust all tabs in order to re-match the line items to the formatting of the source. Use tables instead! And if you really want to produce a file that exceeds the agency’s expectations, take the time to adjust items like the borders and fill of the table cells to better match the source. When completing a translation in MS Word, turn on the “Show/Hide Paragraph Marks” button (the ¶ button on the “Home” tab). This will show you all of the normally hidden formatting features of a text, and allow you to clean up spacing before delivery to the client. The take-away: consistency, following instructions and providing good-looking deliverables are key when striving to convey the overall quality of your translation product to those looking at your translated files—whether they are able to read your target language or not! Alaina Brantner has worked as a Project Manager for two language services providers and is a Spanish to English translator. She holds an MA in translation from UWM and has served on MATI’s board since 2012. MATI directors and members gathered on Saturday, July 25 for the Annual Business meeting at the Bayshore Bar Louie in Milwaukee. MATI President Christina Green started off the meeting by swearing in two new board members: Vice President Joseph Wojowski and Director Tyann Zehms. Amy Polenske and Katarzyna Jankowski were re-elected to MATI’s Executive Committee as Secretary and Treasurer, respectively, and Sasha F Carrillo and Meghan McCallum were re-elected to MATI’s Board. Annual reports were then presented, including the Financial Report, prepared by Treasurer Jankowski, the Webinar Series and Membership Reports, presented by Susan Schweigert, the Communications Report, delivered by Alaina Brantner, and the Programs Report, presented by President Green. As MATI’s board continues to incorporate new programs and features that benefit and are of interest to our growing membership, all committees are seeking volunteers to support in the delivery of new and ongoing services. Please see visit the page Committees and Chairs for a description of MATI’s Committees and the responsibilities and tasks that fall under the purview of each. President Green closed the meeting expressing pleasure and optimism at the successes and overall trajectory of the organization, thanking all members for their support and contributions, and inviting any members who’d like to get involved to reach out for more information. Please contact us at matiemail@gmail.com for more information or to volunteer. *Denotes second consecutive term. Per Article 5, Section 5.2 of MATI’s bylaws, “Officers may be re-elected and serve for a maximum of two consecutive terms, but may run for office again after a full two-year term out of office.” MATI’s Bylaws can be found on our website here. For a complete list of all present and past directors of MATI’s Board, please visit Board of Directors. Back in January, I wrote about Data Storage and Security, and in that article and anytime I talk about internet technology, I talk about the inherent risks involved and how buying cloud server space through Apple, Google, Microsoft, Amazon, et cetera is not the safest means of cloud-based data storage. Again, the only way to be 100% secure is to take your information and devices offline – a feat that is almost unattainable in today’s world if you want to stay in business. So, is there anything that exists to resolve this issue? If it is inadvisable to buying shared cloud server space, and uneconomical for an individual to purchase dedicated cloud server space, how can someone have access to their files with the same accessibility and convenience as other cloud solutions? With the desire for increased data security, many people who are cognizant of the issues have turned to personal clouds to have the same accessibility but with increased security. Personal clouds come in two forms: a personal cloud based on Public Clouds, like Dropbox, Google Drive, OneDrive, etc. ; and a self-hosted personal cloud solution. Personal Clouds based on Public ones are not viable options because they are personal allotments of public cloud servers that promote synchronization among devices (PC, OS X, iOS, Android, etc.) and have a monthly subscription if you want more than the allotted space (allotted free space is 2GB for DropBox and 15GB for both Google Drive and OneDrive). Self-hosted clouds allow you to have complete control of your files. You can select certain folders to make available over the cloud instead of an entire drive. You have access to your files; the only thing limiting you is your own bandwidth connection. There are no file size limits, the minimum you need to access your files is internet access and a browser, and anytime you access your cloud portal, you are accessing it using secure https (SSL). If you have audio, video or photos in the folder, you can even live stream them and play them on your device. File sharing ability is necessary in our industry because you cannot send larger files via e-mail. Historically and perhaps more commonly, companies would set up an FTP (File Transfer Protocol) site and instruct providers on how to log in and access the files they need. A lot of smaller companies use DropBox as an FTP site alternative because it is easier to set up and easier to instruct providers on how to retrieve files than a traditional FTP. Self-hosted clouds give you the same file sharing ability as DropBox, all you have to do is select the file you want to share and you will get a link you can send someone, they click the link and the download starts from their browser. More importantly, you can add them as a guest account (the number of guest accounts are unlimited) so they need to log in with a user name and password to begin the download, and you can also choose the duration of the file’s availability to the guest user. Other notable features include the ability to mount your personal cloud as a drive in Windows, synchronization among devices, synchronization permissions with guest accounts, custom branding, and you can even use it for automatic backup of photos and videos from mobile devices. The only thing limiting you is the amount of storage space you have or make available for storage on your own hardware – but do not forget, you own it. You have complete control over your files and they are not saved in an undisclosed location and managed by a tech giant. So, in all honesty, I felt guilty about the Data Storage and Security post because I did not really give a solution to the cloud situation. I wrote that we should be aware of what information is put on clouds and be aware of the risks associated with cloud storage, but I never really resolved the issue. Please do not misunderstand me, even with a self-hosted cloud, there are still risks associated with keeping computer hardware connected to the internet, but a personal self-hosted cloud is less of an object of desire for hackers than a tech giant cloud. You can visit Tonido.com right now, download the program and set up your own personal cloud for free. The same applies to owncloud.org. arkOS is currently under development and at the time this article was posted, is only recommended for testing purposes. The thing I look forward to writing about in the future is arkOS’s claim that you can host your websites and e-mail with it, not just files. You can be sure that when this is no longer in development, I will be writing about it as a solution to webhosting. When it comes to necessary hardware requirements, PCs with Windows XP or later, Macs with OS X 10.8 or later, 32-bit Linux computers with Ubuntu, Xubuntu, Kubuntu 8.04 or above, or 64-bit Linux Computers with Ubuntu 12.04 will be able to support Tonido without a problem. Aside from that, you are only limited by the hard drive associated with your Tonido server (be it internal or external). Now here is where this article gets cool. Let me introduce you to the Raspberry Pi. A credit card-sized computer for $35 – Windows 10 coming late 2015. I have both the first generation 256 MB RAM model and the Raspberry Pi 2 Model B; the Raspberry Pi 2 is the one that hosts my Cloud. This little computer has a footprint with the same dimensions as a credit card (85.60 × 53.98 mm) and is about 21 mm high. 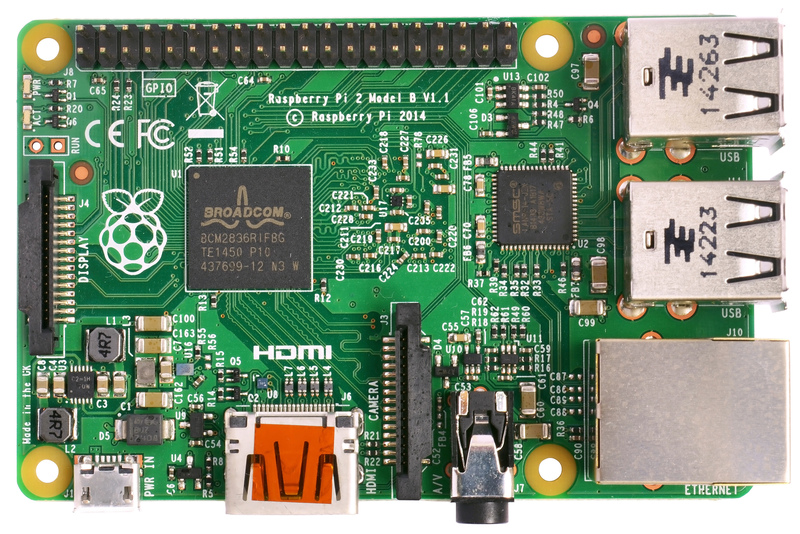 Raspberry Pi 2 technical specifications of importance to our uses are: 4 USB Ports, full HDMI port, Ethernet port, MicroSD slot, Micro USB port, 900 MHz quad-core ARM Cortex-A7 CPU, and 1 GB of RAM. Now, if this is the first time you have heard about the Raspberry Pi and it sounds intriguing to you, I encourage you to look up videos and photos related to Raspberry Pi and check out what people have been making out of the Raspberry Pi – everything from media centers and retro video game emulators to car computers, robotics controllers, and security system controllers. The Micro USB port is for the power supply, the MicroSD slot is for the MicroSD card (like the one in your smartphone) upon which is mounted the Operating System, the HDMI port is for display and audio, the Ethernet port is for network connectivity, and the 4 USB ports are for peripherals and external storage. And here is the best specification of all: the Raspberry Pi is USD $35. So, a real-life implementation of Tonido and the Raspberry Pi would be to set up the Raspberry Pi to run Tonido and then simply plug in a USB External Hard Drive with a separate power source that you already have and make it available on Tonido. It is not entirely as easy as that when starting from scratch, but the result is still attainable by someone with limited or even no knowledge of Unix-based operating systems. So, I will have a second part to this post next week with an instructable: Setting up Tonido Cloud Server on Raspberry Pi and mounting your Tonido Cloud server as a drive in Windows. Since its launch in fall 2007, the Spanish/English Healthcare Interpretation minor at Alverno College has strengthened the language skills of bilingual students fluent in English and Spanish to prepare them for a career in healthcare interpretation. Through five courses and an intensive, semester-long internship, the program prepares students to work in a variety of healthcare settings, such as hospitals, clinics, and community health centers. Students are also well-trained to engage in telephonic or video remote interpreting, which are two platforms that are becoming increasingly popular across the country. Given the healthcare focus, this minor naturally attracts many students who are pursuing a major in nursing; however, the program is not an option open exclusively to nursing students. Instead, it complements a number of other areas of study, such as psychology, education, communication, business, and community leadership. Many students use these courses as a springboard for applying their interpreting skills in their own respective field. That said, having a four-year degree, in addition to specialized studies in healthcare interpreting, makes Alverno graduates attractive prospects for employers. Alverno’s world-renowned curriculum focuses on 8 abilities and includes ample experiential learning opportunities to ensure the learning is student-focused, engaging and interactive. Although the majority of the students enrolled are degree-seeking students at Alverno, individuals not enrolled in a degree program at Alverno can also take coursework toward program completion as special students. Individuals who already have a Bachelor’s degree can enroll in courses. The Admissions Office can provide more details on enrolling and financing your coursework. This course introduces students to medical terminology of major body systems in Spanish and English. Terminology includes body parts, diseases, tests, and treatments. This course focuses on theoretical frameworks that define culture, cultural competence, and cultural proficiency to increase student’s understanding of multicultural aspects of healthcare regarding the Latino culture. This course exposes the student to challenges in a variety of healthcare settings through the use of practice drills and simulations including sight translation and consecutive and simultaneous interpretation. This course is designed to prepare the student for ethical challenges she will meet in her profession. Students examine the professional ethical issues most commonly encountered in the field of interpreting, and include in its outcomes objectives of impartiality, respect, confidentiality, role boundaries, professionalism, and advocacy. The course focuses on the language skills necessary for translation. This course reviews current grammar rules in English and Spanish and present students with an opportunity to develop the ability to identify audience, style, tone and register, and the role each of these has in written communication. Through practice and an introduction to the challenges that translators face, students problem-solve difficult linguistic constructions while refining their writing skills as they work to translate and edit medical texts from Spanish to English and English to Spanish within the framework of their role as a medical interpreter. In this course, the student participates in a field experience that allows her to further develop the skills that she has learned in the coursework completed as part of the Spanish/English Healthcare Interpretation minor. She works under the direction of mentoring professionals in a health care setting to shadow and later interpret for patients during an individual field placement at a local health care organization. Students must complete a total of 120 hours on-site. As noted earlier, experiential learning is abundant in this program. In addition to the projects woven into the required courses and the semester-long internship, students have an opportunity to participate in a short-term study abroad trip to Ecuador, allowing them to increase their cultural awareness and enhance their language skills with language instruction, home stays, and cultural excursions in the Andean mountains and the Amazon Rainforest. The trip is an optional part of the cultural competence course offered to students of any language ability on rotation. Furthermore, as the profession evolves and national certification becomes the norm, having studied interpreting simply will not be enough to obtain nor maintain employment. “We are enhancing the opportunities for continuing education,” said Jennifer Flamboe, M.A., CHI, Associate Professor of Spanish, Director of the Spanish/English Healthcare Interpretation program, and Chair of the World Languages department at Alverno College. Flamboe worked in partnership with Daniel Dickover, adjunct instructor, to establish the Alverno Interpreter Institute (AII), founded in 2013, as a forum to spread information on medical interpreting through workshops, and enrichment sessions as a means for professional development to meet the growing demand for Continuing Education Units (CEUs). As an entity associated with the Spanish/English Healthcare Interpretation program at Alverno College, the Institute resembles program courses in its interactive, participant-focused design. Medical interpreters across all language pairs can gain knowledge and learn from one another in this venue, no matter what their skill level may be. In fact, many students attend Institute sessions and rave about the interaction they have had with working interpreters because the nature of the layout of the room and the activities facilitate an organic networking and learning experience. For information on upcoming AII workshops, visit the Alverno Interpreter Institute website. Being an Alverno alumna and a graduate of the Spanish/English Healthcare Interpretation Program, I am honored to say that I was well prepared for my career as a Spanish healthcare interpreter thanks to that program. Being a heritage Spanish speaker and an interpreter for my parents all of my life, Alverno’s interpreting program drew me in through its ethics course, translation course, and the internship. I had the opportunity to intern at the Children’s Hospital of Wisconsin as a Spanish Healthcare Interpreter for the duration of one semester. During my internship at Children’s, I observed other interpreters for approximately five weeks and then interpreted on my own after successful completion of the organization’s language assessment. This internship experience allowed me to get a better understanding of the day-to-day operations as an interpreter, including its challenges and complications. Most importantly, my internship experience gave me a network of professional interpreters to whom I can turn for advice and work opportunities. The AII and the Spanish/English Healthcare Interpretation curricula went beyond my expectations, playing a large role in my career goals. One of my future goals is to own a healthcare interpreter agency, and having received well-rounded training through Alverno’s interpreting minor, I am prepared to succeed as a healthcare interpreter, and I know that I will continue to expand my skills as an interpreter through AII workshops. As I continue to volunteer with the American Cancer Society as a Spanish healthcare interpreter, I am able to reflect on my education and make good use of the skills i learned through this program. For more information on the Spanish/English Healthcare Interpretation minor at Alverno, the Alverno Interpreter Institute, future continuing education opportunities or to collaborate on experiential opportunities for students, e-mail Jennifer Flamboe, Chair of World Languages, at jennifer.flamboe@alverno.edu or stay updated on related news, events, and opportunities via the program’s Facebook page: www.facebook.com/alvernointerpreting. Yesica Comacho is a Spanish <> English interpreter. She holds a BA in Communications with Minors in Psychology and Spanish-Healthcare Interpretation. Amy Polenske serves on MATI’s Executive Committee as Secretary, a role in which she has contributed to our organization since 2013. She holds a Master’s Degree in Translation and her language pair is Spanish to English. I’ve been working professionally in the field for around two and a half years. My first experience came from the graduate program at UWM where I had the opportunity to translate for UWM Language Services. I then completed an internship at a translation and interpreting agency, which turned into employment after graduation. I currently work at Iverson Language Associates as the Quality Team Lead. The translation and interpreting industry is rapidly growing. With this in mind, an important issue that should remain a focus of our profession is education in language, translation, and interpreting. I believe it is important that the individuals newly entering this field come with the proper education and understanding of what it takes to be a professional translator, interpreter, or project manager. MATI is a great place for professionals at all levels to connect and promote education and awareness of our field. Get involved! The people I’ve met through school, work, and organizations like MATI and ATA have opened up opportunities to me that I wouldn’t have had working just on my own. It’s also fun to collaborate with others who have the same passion for language as I do. What is the biggest lesson you’ve learned in your profession? Expect the unexpected. While it’s smart to be prepared and anticipate potential project issues, unexpected problems do happen. In these situations, it’s important to manage these problems with a level head by taking the time to think through possible solutions before jumping to action. I was interested in meeting other professionals in my field to see how others were using their skills and learn what different career options were possible. Arguably, our main goal as translators is to provide excellent translations. We ensure that each translated text is accurate, consistent, and error-free. Many more factors come into play in a translator’s day-to-day business interactions, however. Beyond providing spotless translations, what can a translator do to build healthy relationships with his or her translation agency clients? This is the first installment in a series focused on the translator-agency relationship, and how translators can ensure they are providing a complete package of excellent service. Q. With more and more translators marketing their services across a variety of platforms, how am I supposed to stand out from the crowd? A. Getting your foot in the door with an agency can be tricky, but it doesn’t have to be! Be visible. Set up profiles on Proz, LinkedIn and on the websites of professional associations (including ours!). Keep them up-to-date with language pairs, experience, specializations, contact information, and a professional headshot, if possible. A project manager’s first impression of you may come from one of these profiles, so you want to be sure to make a good one! Be active. You may not have the opportunity to meet your project manager in person, but he or she can still “see” you participating in online forums, webinars, blogs, and social media. If you have an active, professional online presence, you’re more likely to get noticed. Be available. List your contact and social media details (e-mail, phone, Skype, website, Proz, LinkedIn, Twitter, Google+) across platforms. A project manager shouldn’t have to spend time figuring out how to get a hold of you! While you’re at it, does your e-mail signature need a makeover? Be sure to include at least the basics (phone, website) in your signature. Start with baby steps. PMs will likely not send you their biggest and best projects until they know they can trust you with the small stuff. That is not to say that you should accept projects well below your rates or with impossible deadlines, but if you make it a habit of rejecting all but the very best projects, PMs may stop reaching out to you all together. Take advantage of networking opportunities. Participate in events offered through professional associations, such as MATI’s webinars and annual conference. Not only will you make some new contacts, but with active participation in an association you also show potential clients that you are committed to the profession. Q. My relationship with project managers exists almost entirely online. How can I approach communication to ensure that I will get repeat work from a project manager? A. Project managers can receive hundreds of e-mails per day, and communication etiquette (or lack thereof) can make or break your relationship with them. Here are some tips for successful communication. Respond in a timely manner. One of a project manager’s most important tasks is to keep his or her projects running on schedule. With multiple projects happening at once, they need to be able to communicate quickly and effectively. You’ll make a PM’s life easier if you respond to messages quickly. Even a simple “Thanks for the project offer, but I’m unavailable for the rest of this week.” will do. Use (but don’t abuse!) instant messaging. Many translation agencies use Skype; consider using it yourself if you don’t already. This way, if a project manager has a quick question for you (“Hi, could you please confirm you received the source files?”), they can receive your answer right away. On the other hand, some messages are still better via e-mail; if you have detailed questions on a specific project or anything that a PM isn’t able to answer instantly, it’s probably better to e-mail. Keep messages concise. With hundreds of e-mails flying around every day, a project manager can’t afford to spend time decrypting drawn-out messages. Of course, your PM does want to know if you have questions or issues with an assignment! Always notify the PM as soon as possible when you encounter an issue. When composing your message, make it as easy as possible for the PM to figure out what your question or problem is and what information you need from them to resolve it. Stay positive. Although we’re all working behind computer screens, don’t forget that there is always a live person on the other end of your messages. PMs will remember the way you communicate with them. Don’t like a rate or deadline that a PM is offering? Did the PM accidentally offer you a job outside of your area of expertise? No problem; you’re not required to accept it! If you’re not able to take a project, a quick e-mail politely declining the job will go a long way. Q. How can I master translation technology to improve my relationships with PMs and bring in more business? A. In today’s translation industry, professionals cannot afford to not master their own technology. PMs tend to remember translators who accept their projects on a regular basis, so if you regularly turn down projects because you can’t work with CAT tools, you may fall off of a PM’s radar. Of course, you have the ultimate choice of which technology (if any) to use for your translation services. Once you do choose to use a certain technology, however, you should take responsibility for learning how to use it correctly. Hurdles are bound to come up when working with technology, and troubleshooting skills are a must. Take advantage agency-provided discounts and training. Some agencies offer discounts on their preferred translation environment tool, and many provide basic instructions and training for how to use the tools within their specific project process. Take advantage of these offers! Keep an eye out for training offered by your tool vendor. Webinars, YouTube videos, and other training materials are often offered at no cost directly from translation software vendors. Encountering an issue? Google it first! You’re wrapping up a project due tomorrow, and suddenly an error message pops up. Don’t panic! First, Google the specific error code and/or message in the pop-up window. Chances are, someone else before you has encountered this issue and discussed resolutions online. Many technology issues can be resolved independently with a little online research. Ask a colleague for one-on-one help. Some of your fellow translators may be willing to provide individualized training sessions for specific tools. This allows you to learn the ropes at your own pace and ask a trusted colleague for insight. Trainers may charge a fee for this personalized service, but it’s certainly worth the investment. The above tips are sure to get you started on the right foot with your project managers. Remember that among a PM’s many duties is to serve as your advocate to the client, and the best way to ensure successful projects and a mutually beneficial relationship with your PM overall is through open and timely communication. Do you have specific questions on fostering positive relationships with your translation agency clients? Visit our Member Forum to discuss questions with your colleagues or to request specific topics for future articles. 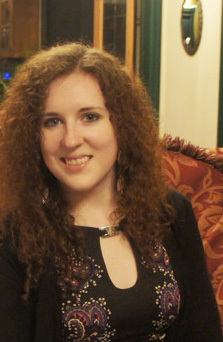 Meghan McCallum is a freelance French to English translator based in Milwaukee, WI. She worked in-house at a Milwaukee LSP from 2010-2015 before starting her freelance business. Meghan currently serves on the MATI Board of Directors. The below has been adapted from "Translation Memory Tools (Part 2)," an article posted by Wojowski on April 3, 2015 on his Translation Technology Blog. Those who create hardware or software in any form must always focus and stay on top of how users currently use the technology and how they may want to use it in the future. An excellent example of this outside of the translation industry is the credit card. Magnetic stripe credit cards were invented by International Business Machines (IBM) in the late 60s. In 1971, they started producing magnetic striped credit and identification cards in Dayton, New Jersey. This was quickly adopted around the world. Until just a few years ago, the magnetic stripe was the basis of all credit and debit transactions in the United States. Meanwhile, Europay (Belgium) established the EMV Chip as a means for a more secure transaction medium – the first version of the EMV Standard was published in 1995. Any American who has frequented to Europe in the last decade can tell you about the looks we get after handing a shop clerk a card they don’t know what to do with because there is no EMV chip. The United States had been slow to adopt this technology because it would mean changing the hardware that has been employed for the past forty years. Only now is the Chip and PIN system becoming more frequent in the United States. This is quite common with technology and ideas, the innovators are often the slowest to adapt. In my very honest opinion, translation technology has operated much in the same way for the past twenty years. In the 90s, Translator’s Workbench took off as a translation technology tool. To this day, the tool known as SDL Trados Studio since its acquisition by SDL in 2005 is revered as the industry standard in CAT Tools. But I would like to pose some questions about this tool. Is SDL Studio the best option for all or most of the industry’s needs? Does SDL Studio pass the kindergarten test (does it ‘play well with others’)? Is SDL particularly responsive to the support and functionality needs of its users? With so many other tools on the market, is Studio the best bang for your buck? More likely than not, SDL is not the end all-be all of CAT tool solutions, and if one were to blindly adhere to Studio and only Studio (or any one program for that matter), CAT tool technology will pass him or her by and he or she will be left crying in the dust. So let’s look into the different CAT tools and see what various benefits or downfalls exist. First and foremost, let us establish that Integrated Translation Environments pretty much operate in the same way; the basic functionality of all of them is the displaying of source and target text and translation memory matches. If all you are looking for is a program to assist in the translation of MS office documents, by all means, buy a CAT tool as a commodity and go for the lowest price. For many, the native operating system of a tool is the biggest attraction. Some tools only run on Windows, some are web-based, and others run on java and are thus able to be run on any operating system. The two most prevalent programs, Trados Studio and MemoQ, run natively on Windows but can be run on OS X in a cross platform solution – a virtual machine. There is an issue when running these programs in a parallel environment that Mac users need to be aware of: these programs need to have the Windows folder structure (c:\) mapped in order to function; if the shared folder structure (psf\) is used, the programs will crash. Java platform-based tools are appealing because Java works on Windows, OS X, and Linux-based operating systems. The downside of these tools is that with the current tools available, there is limited functionality. Java platform based tools include OmegaT, Wordfast, and GlobalSight. The most common of the Java platform based tools would be Wordfast. Wordfast exists in four different versions, Wordfast Classic, Wordfast Pro (3), Wordfast Anywhere, and Wordfast Server. For the purposes of addressing freelance translators, I will only be discussing Wordfast Pro 3. Wordfast Classic is an MS Office add-in (a set of macros) and relies on antiquated technology; Wordfast Anywhere is free, web-based, and is greatly limited in functionality in comparison with other tools available. In addition, Wordfast Autoaligner for Wordfast Anywhere is quite possibly the worst alignment tool ever imagined. With Autoaligner, you upload the files you would like to align, it identifies the source and target files (which can be switched), you put in your e-mail address, and it sends you a translation memory – because we all know running alignments are always just as easy as that. The Wordfast Pro 3 user interface is toolbar based and lacks essential features that are available in other tools, like a real-time preview. The alignment tool is a separate application, and editing resources within the application are a pipe dream. The only resources available to you are a translation memory, a glossary, and machine translation is available via Google, Microsoft, and WorldLingo. While Wordfast works on all operating systems and has the cheapest initial cost of the three main translation programs, with limited licensing (licenses [$500/each for Wordfast Pro 3] are granted for a period of three years and can be renewed after that period for 50% of the full list price), limited functionality, and antiquated often user-unfriendly UI, Wordfast is last on my list of software recommendations. (Don’t worry, I have said this to Wordfast representatives’ faces when asked why Wordfast was not my go-to CAT tool.) In a nutshell, Wordfast tries to execute multiple functionalities? and provide multiple options for a CAT tool and does not do any of them well. You can try out Wordfast Pro with a free trial that allows you to translate up to 500 translation units; this trial may be found here. Web-based applications include a variety of services such as MemSource, MemoQ Cloud, XTM, Wordfast Anywhere and one of the newest CAT tools, MateCat. It should go without saying that every single one of these tools should be used with caution (for more information, see my post on Data Storage and Security); in fact, a big part of me wants to dismiss these solutions immediately because of the potential risk to confidential information, like the vulnerability of translation memories and glossaries, or the potential leak of information to a third party through machine translation add-ons (see my post on Machine Technology and Internet Security from 9 December 2014). However, there is great value in the collaboration abilities possible through MemoQ Cloud (also possible with MemoQ Server) and XTM – this ability allows for all members of a workflow to collaborate on a project simultaneously for example, it facilitates communication between a translator and the editor and/or terminologist and proofreader. This type of collaboration is ideal for companies that need to process large documents in a short amount of time. This capability is only available with premium services like MemoQ Cloud and XTM and despite the fact that the free web-based CAT tools use https, I would still be cautious before sending documents to Wordfast Anywhere or MateCat. Trados Studio continues to be the leader in CAT tools and I do not need to toot its horn or stroke its ego; but a positive thing about Studio is its translation window UI. The UI is tab-based and gives it a very user-friendly feel. It looks and feels a lot like working in MS Office, a definite plus. While the UI can be very comforting while translating, in navigating the program on the whole, the layout takes some getting used to. However, in my honest opinion, it boggles my mind that use of Studio continues to be so widespread despite areas where it falls short. Customer support has always been lacking from SDL. If you call them on the phone for help, chances are you will not talk to anyone. If you try to e-mail them, you will not get a response. I went to an SDL lunch where they were showing off new features for Studio 2011 and how if a computer is connected to the internet, the user accesses the most current help file. I asked the representative if when the computer is connected to the internet, a local version of the help file was updated. He did not know but said he would find out for me. I took his card and sent him an e-mail later that day asking my question and never received a response. Regarding the technical aspects, Trados Studio does not play very well with others. In fact, instead of listening to user’s needs and building additional functionality into Studio, it went the desultory route and created SDL OpenExchange, a place where third-party developers can create applications for Studio. Do you want interoperability? No problem, download the app. Do you want to exchange the proprietary SDLXliff file format to TMX? No worries, there’s an app for that. Problem with an app? No… oh, I guess you have to go back to OpenExchange, get the developer’s contact information, and contact the developer directly. That is a bit inconvenient especially considering that in order to gain the functionality you needed; you had to download a separate application from OpenExchange in the first place, is it not? When you are in the middle of a project and you have a problem, you need to be able to go to one point of contact and get the solution fast. OpenExchange is therefore not really the best possible solution for increasing functionality. So now let’s look at price. A Studio 2014 Freelance license can be purchased for $825.00, if you already have a Studio 2011 license, you can purchase an upgrade for $275 (≈33% for the full list price). Unlike Wordfast, once you buy a license for a version of Studio, that version is yours forever. When SDL issues a new version of Studio, you must buy an upgrade to get the newest, most up-to-date version of Studio. You can try out SDL Trados Studio for a free 30-day trial here. So how about price? A Translator Pro license for MemoQ is $770.00 and a yearly support and upgrade package can be purchased at 20% of the full list price (about $153) this includes all updates and upgrades, if you had MemoQ 2013 R2 when MemoQ 2014 was released and your support and upgrade package was current, you received MemoQ 2014. The main reason why I tell people to try MemoQ is because they truly can. Right now, anyone can download MemoQ 2014 R2 abandon their current CAT tool, and use MemoQ as their sole CAT tool for 45 days. You can try out MemoQ by clicking here. Only once have I heard anyone say anything bad about MemoQ and based on how they worded their e-mail, it was clear that the person did not understand the current state of CAT tools as a whole. So to bring it back around full-circle, I would like to reiterate that those who create hardware or software in any form must always be focused and remain cognizant of how users currently use the technology and how they may want to use it in the future – SDL is the magnetic stripe to Kilgray’s EMV Chip and PIN. I am of the opinion that because of programming innovations and responsiveness to customers’ needs, MemoQ truly does stand out above the rest. These are my opinions and I acknowledge that what is currently the ideal program for me may not be the ideal program for someone else, or may not be my ideal program in the future. I also recognize that I did not go into very much detail on the programs, and if anyone reading this would like me to do so, I would be more than happy to. One last thought to end this post: if I represent an LSP and SDL offers translation services, why would I give money to a [perceived] competitor to use their product when I can give it to a company that also produces great CAT Tool software but is not a competitor in respects to also offering translation services? Joseph Wojowski is a French- and Spanish-to-English linguist with an MA in French and Spanish linguistics. He has been a MATI member since 2013. I live in Chicago and work in Des Plaines. I can watch planes take off from O’Hare from my office. I was inspired to get into languages by my own personal history. 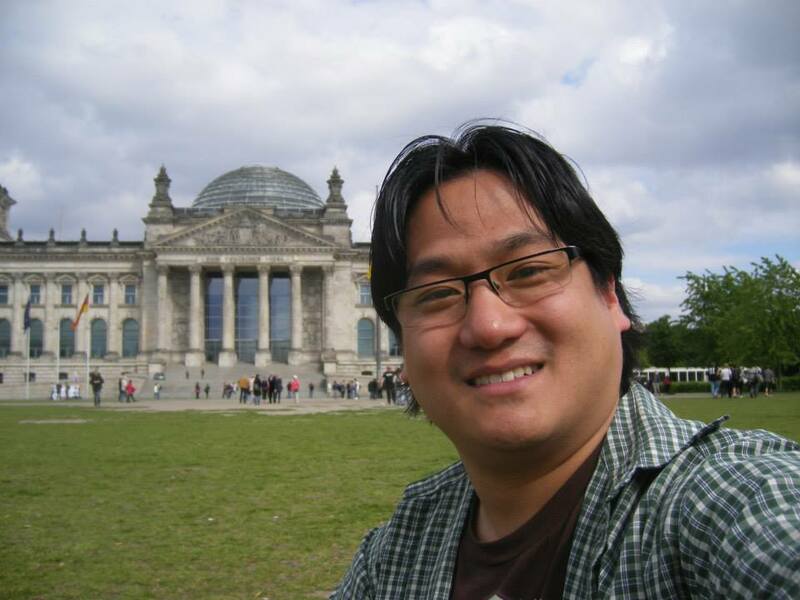 I was adopted from Korea as an infant and ever since I was a child, I longed to connect with the larger world; language and translation are the manifestation of that desire. Technology. It’s an area that is always changing and always in need of clarification to others. I never feel stagnant when I’m testing a piece of software or building a computer. I love translation because it’s the living embodiment of a Roddenberry society. No one gets into translation for their own personal gain; a lot of people do it because, whether they realize it or not, they want to translate for the good of humanity. Sure, you can become successful and make money translating, but the profession as a whole is very altruistic. I like to think that translation as an industry has a lot of great work ahead of it. This really is a great time to be a translator: communication is fast, the tools are powerful, and there’s plenty of work to do. The most urgent issue that needs to be addressed is Internet security—not just in translation, but around the world. It’s an ongoing process and people will always be looking for ways to break in to the most secure systems. Currently, the only way to be 100% safe is to be 100% offline. Information is in a perpetual state of being at risk and while translation data is not currently a high target, it’s only a matter of time before people become aware of the types of information we deal with. For those starting out, get into the industry through project management and learn as much as you can as fast as you can. For those who’ve been in the field for a while, be a mentor to someone who’s just getting started, take on an apprentice during his or her breaks in college.